One pearl. Two pearls. Three pearls. How about 40 pearls? That what author Shawntel Jefferson is releasing for kids in her new non-fiction book series. 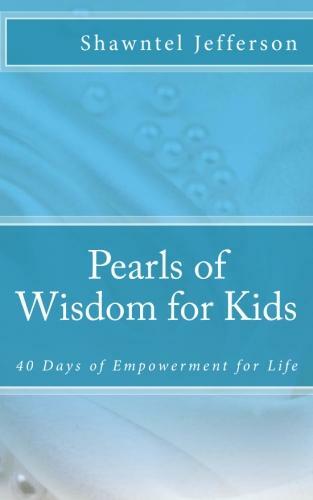 Pearls of Wisdom for Kids: 40 Days of Empowerment for Life is the first Jefferson has penned for kids. Using her insight and wisdom about life, Jefferson equips kids to become more knowledgable stewards of the word of God and and how to more efficiently handle life’s experiences. The book will be release November 12, 2012. You can pre-order by clicking the link below.